Sure, the decision Wednesday by U.S. regulators to block Ant Financial's acquisition of MoneyGram International (MGI - Get Report) was -- according to some -- a blow to Alibaba (BABA - Get Report) Chairman Jack Ma's quest to expand his reach into the U.S. And sure, it may have spooked some foreign investors eyeing U.S. assets. But in reality, the scuttling of the deal seems to be more of a protection of U.S. consumer data and the U.S. financial system than an indictment on U.S.-China trade policies or foreign investment in U.S. companies. As my colleague Ron Fink mentioned in his morning missive over on our sister site The Deal, U.S. regulators have never been too keen on handing control of financial assets to foreign investors. "Yes, MoneyGram isn't strictly speaking a bank. But it's close enough to worry U.S. regulators. And no charm offensive by Jack Ma at Trump Tower is going to change that," Ron wrote earlier today. I'd think that if a creative company such as a movie studio or a generic widget maker went on the block, you'll likely see just as much interest from Chinese investors as you would have before the Ant-MoneyGram deal was scuttled. I'd also argue that you'll never seen investment in the U.S. from China as you did in 2016, unless something really drastic changes in the flow of capital or there is a complete deterioration of U.S. regulations. As for MoneyGram, you've got to wonder if Euronet Worldwide (EEFT - Get Report) , which was bested by Ma-backed Ant in April, will return with a revised offer. Afterall, CEO Michael Brown (yes, I had to throw it in, but no relation) cited potential regulatory hurdles as a reason to reject Ant's bid from the get-go. Amid the chatter of U.S.-China deal relations, the major indexes continued their steady march higher even as Intel (INTC - Get Report) and AMD (AMD - Get Report) continued to fued, the President boasted about the size of America's "nuclear button" and General Electric (GE - Get Report) investors continued to pull their hair out over its underperformance. Read on to see these stores and more from TheStreet and its affiliates. Much of the eastern United States is experiencing a chilling cold front and accompanying storm that could potentially disrupt the entire eastern seaboard and even parts of Florida. 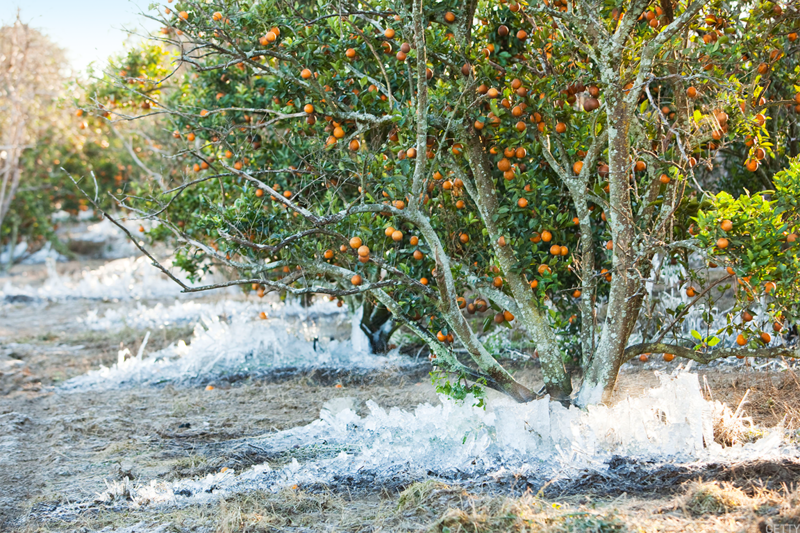 The storm could hit commodities of all kinds, but the cold-front represents an even more serious risk to orange and citrus crops that grow in the southeast. Keep an eye on orange juice futures -- yes, it's a thing -- and hope that growers and food producers alike have sufficient reserves to withstand the first substantial weather pattern of 2018.